The Cronotime table clock is manufactured by Alessi after a design by the deceased designer Pio Manzù. Manzù especially caused a furore with his designs for the car industry, and also Cronotime possesses a dynamic design language. The bent and compact corpus of Cronotime seems to protrude out of the surface. Initially, it might look like a toy, but it quickly proves itself to be very well thought out and useful. Both parts of the housing are movable and can be peripherally turned against each other, creating different housing forms, so that the clock can be turned to any desired perspective. The most favourable inclination of the dial can furthermore be adjusted by an additional movable ring on the surface. The numbers themselves are clear and visible all the time due to their size. The original design was created in 1966. The Fiat factory sent the table clocks as annual gifts at that time, and this was the purpose for which Pio Manzù originally designed them. Produced by the Milan-based company Ritz Italora at that time, the publicity gift quickly gained popularity. Since the technical and formally humorous solution of a table clock as a Fiat gift received such great feedback, the Italian department store chain La Rinascente decided to include the clock in its programme and thereby helped it become successful internationally. 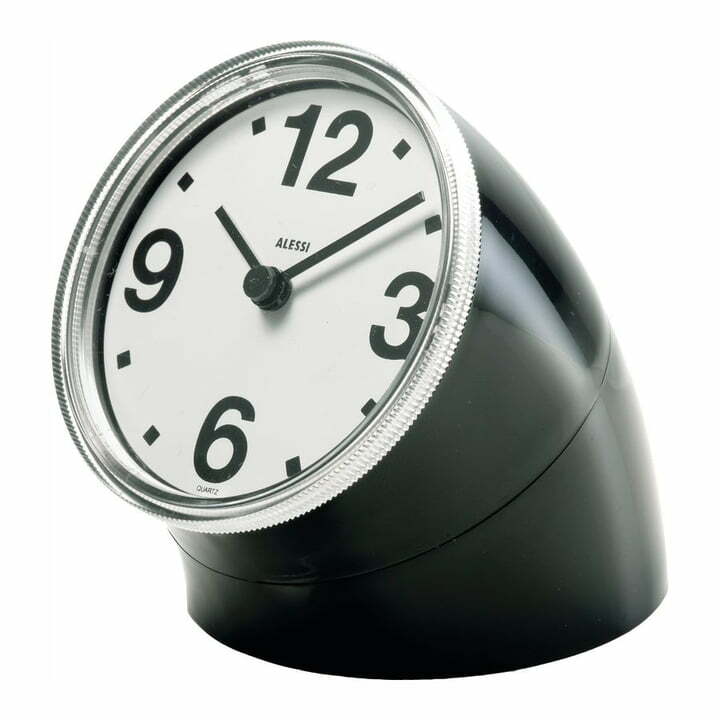 The small table clock is produced by Alessi today, in a revised second edition made out of ABS plastic.The Cronotime table clock is available in additional colours.